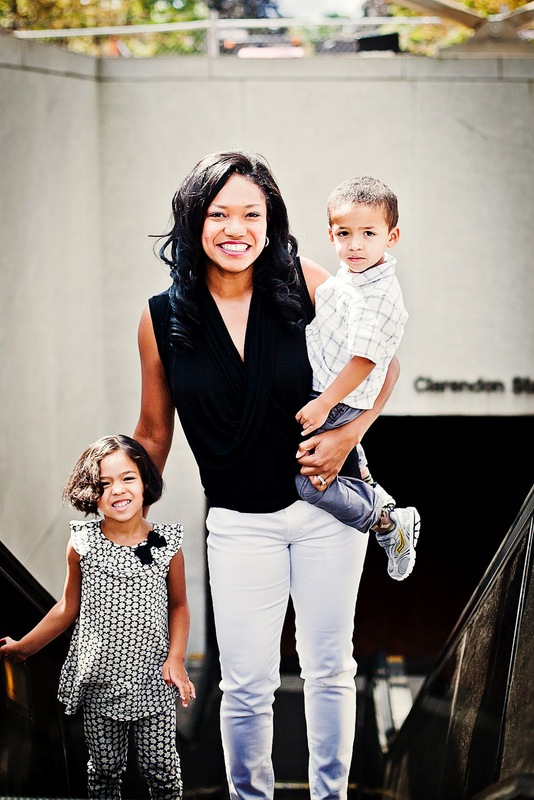 Angelica Talan is the founder and publisher of Clarendon Moms, one of the most popular parenting, mommy and lifestyle blogs in the Washington D.C. area. Prior to becoming a wife, mother and blogger, Angelica was a DC based television actress appearing in over a dozen television commercials, print modeling ad campaigns and featured in several major motion films, most notably the dance movie “Step Up” starring Channing Tatum and “The Replacements” starring Keanu Reeves. She is currently featured in the March Issue of Northern Virginia Magazine and has recently been featured in numerous media outlets including: The Washington Post, Let’s Talk Live/WJLA/DC-ABC, The Food Network, NBC 4 Washington, W*USA9 News, Fashion Washington Magazine, Washington FAMILY Magazine, Washington Post Express, Washington Life Magazine, K Street Magazine, Guest of a Guest, The Scene Bisnow, The Georgetown Daily, DC Modern Luxury Magazine, In The Capital, The Georgetowner, Glitterazzi, DC Life Magazine, The Hill, Alexandria Stylebook, Daily Café, SnobSwap, DC Hot Spots, Revamp! Capitol File, Famous DC, Pamela’s Punch and The Wild Kat Show on Satellite Radio and on IMDB.com. ClarendonMoms.com was recently named one of the 2015 Top 5 DC Mommy Bloggers on Instagram by Red Tricycle, Top 10 DC Mommy Bloggers We Love by Red Tricycle in 2013 and 2014 and one of the Top 15 Most Influential Mommy Fashion & Beauty Bloggers by Very Busy Mama and is also featured as a blog on The Clarendon Patch. Angelica is an official blog ambassador for CapFABB , the Washington DC area’s largest network of bloggers and social media influencers (as a leader in the community and professional mentor for the mommy blog and lifestyle blog divisions). She is an affiliated local voice as a mommy blogger for the global brand UBER and is featured in the DC edition of the Uber blog. Angelica was featured in the September issue of Washington Family Magazine (Trendy Mom Feature) and also appeared in the May 2014 Edition of Alexandria Stylebook. Angelica has worked as brand ambassador, fitness model and spokesperson for Sport and Health Fitness Clubs and is prominently displayed on their billboard campaign in over 23 locations and on the SportandHealth.com website. She was also featured as one of the featured bloggers in the first annual Old Town Blogger Crawl Look Book/Mini Guide in October 2014. Angelica was featured as one of the models for the Holiday Guide 2013 Lookbook for Periwinkle Boutique and is an affiliate of Drive the District (District Drive), powered by General Motors. Angelica and Clarendon Moms has partnered with such major brands as: The Ritz Carlton Hotels, A Loft Hotels, UBER, Mini Boden, Sport and Health, Gillette, The Honest Company, Lee Riders Jeans and TJ Maxx. She has had the honor of hosting and emceeing events for companies such as AT&T, Smashbox Cosmetics, Barre-Tech, 529 Kids Consign, Saks Fifth Avenue’s The Key to the Cure and Rock Recovery and will be featured as a runway model in this Spring’s charitable fashion show for Runway Moms in May 2015, benefitting The Tigerlily Foundation. Memberships: SAG-AFTRA, CapFabb, Bloglovin, Mothers of Northern Arlington (MONA Moms) and The Virginia Bloggers Club. Partnering with a blog like ClarendonMoms.com is one of the best ways to reach thousands of women looking for content created just for them. Services Offered: Affiliate Advertising, Brand Ambassadorships, Event Hosting, Speaking Engagements, Conference Representation, Fitness Demos, Print Modeling Campaigns, Freelance Articles, Product Reviews, Book Reviews, Restaurant Reviews, Hotel and Resort Reviews, Sponsored Posts, Giveaways and Social Media Promotions. Please submit all inquiries by email: ClarendonMoms@gmail.com with the keyword “Partnership” in the Subject.